AccessPoint-Processor is a dedicated communications processor designed specifically for the AccessPoint management and security communications system. AP-Processor integrates PC, modem and network technology to provide reliable dial-in/dial-out applications processing capability. Each AP-Processor card contains a fully operational PC with video and keyboard interface, a high speed modem and high performance Ethernet network controller. This closely coupled combination offers superior performance over separate PC and modem solutions. With AP-Processor, a myriad of applications can be constructed and integrated into the one platform to serve the communications needs of almost any business. AccessPoint-Processor is the ideal solution for teleworking, remote access, mobile access, branch office connectivity and local network access. Any application which previously resided on a networked PC can now be executed under AP-Processor (provided the PC capabilities are similar). Example applications include an e-mail server; a gateway/router; file, print and fax servers; Notes server; dedicated dial-up hosts for remote control/remote node applications; NLM servers, database servers and a host of other specialty servers and applications. Automatic reset of the processor on modem call disconnect/loss of carrier is fully user configurable (including the delay between loss of carrier and processor reset). The modem section includes the standard proactive management features (refer to AP-Manager). Windows/DOS management software provides a text mode link to the PC component of AP-Processor’s video and keyboard. 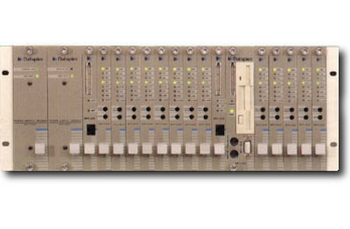 This can then be used to run the ROM resident Set-Up utility. Also, as the system is integrated with the AccessPoint-Management system, SNMP/Ethernet/serial and remote management is possible. From AccessPoint-Manager you can reset the PC; edit PC CMOS variables (such as time/date, hard disk drive information, serial numbers, BIOS versions and MAC layer address information); set call end options (such as PC reset and reset delay) and set modem action on PC reset (such as busy out until PC ready). Also, full monitoring functionality is offered. For example, PC reboots may be logged if required. 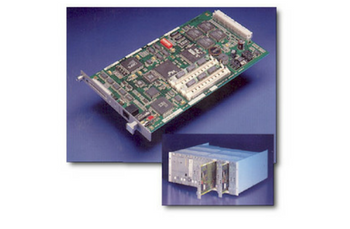 As AP-Processor employs standard PC/modem technology, the PC component maintains identical BIOS, memory, I/O and interrupt configurations to other AP-Processor cards. This consistent interface ensures trouble free maintenance. AP-Processor replaces unreliable PCs (not specifically designed for communications tasks) and adds a sophisticated yet easy to operate management platform. Also, the modem component is identical to a normal nest-mount or desktop modem and therefore no additional learning is required. Standard AccessPoint security applies to the modem component. If security is enabled for a particular slot, any dial-in user must be validated. Also, with the optional AP-Advanced Security option, Token based access, challenge response and DES based encryption is possible.